Memories of traumatic experiences can lead to mental health issues such as post-traumatic stress disorder (PTSD), which can destroy a person's life. It is currently estimated that almost a third of all people will suffer from fear- or stress-related disorders at some point in their lives. Now, a new study shows—at the cellular level—how therapy can treat even long-term memories of trauma. "Our findings shed, for the first time, light onto the processes that underlie the successful treatment of traumatic memories," says EPFL Professor Johannes Gräff, whose lab carried out the study. The mice then underwent fear-reducing training, which resembles exposure-based therapy in humans—the most efficient form of trauma therapy in humans today. Surprisingly, when the researchers looked again into the brain of the mice, some of the neurons active at recalling the traumatic memories were still active when the animals no longer showed fear. Importantly, the less the mice were scared, the more cells became reactivated. 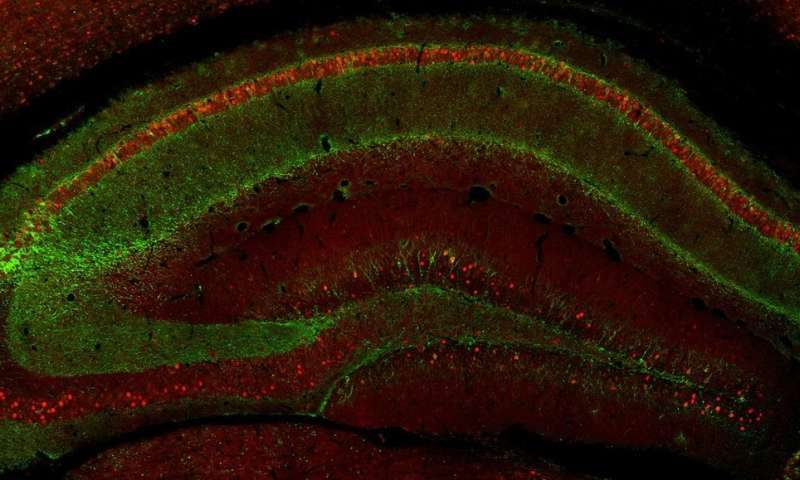 This was a first hint that the same population of neurons may be involved in storing and attenuating traumatic memories.